When I first read the article, about 365 bars, in the NY Daily News on March 10, 2010, I knew I had to have a few beers with Marty. I was jealous that he could do what he did and we had to have a meeting of the drinking minds! And sure enough, on May 16, 2010, the BBC was introduced to the 365 bar guy. I didn't take pictures all the time and document things like Marty, but most of these shots are mine. I did have to pull some from 365/MAD/TWM to complete the story. 2010-2011-2012 were the best New York City years I will have. May 16, 2010 - Molly's Shebeen, our first meeting with Marty who was on his 127th bar of his 365 bars adventure. May 17, 2010 - Raccoon Lodge, our second night with Marty. May 17, 2010 - Another shot at the Raccoon Lodge. May 18, 2010 - Horseshoe Bar in the East Village, last night of the first three day bar crawl with Marty. There will be more to come! 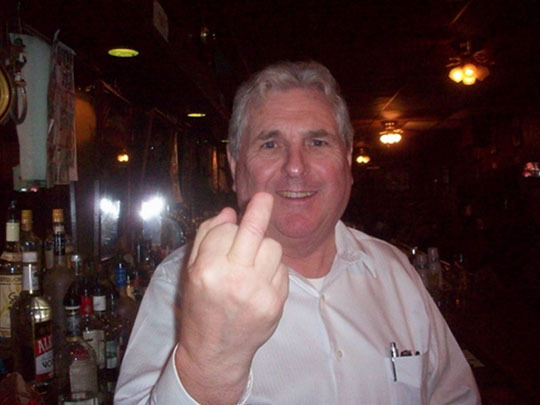 November 11, 2010 - Paddy Reilly's Music Bar, a few months has gone by and now Marty’s up to bar number 306. Here he is with Tim “Clacky” Clack, who came all the way from Australia with his girlfriend Shannon to join in on the 365 crawl. November 12, 2010 - Hickey's, near Penn Station. November 12, 2010 - Hickey's, the sub finger 365 salute, UFB! November 13, 2010 - The Burger Shoppe in the Financial District. Marty strikes a Stan Laurel pose. 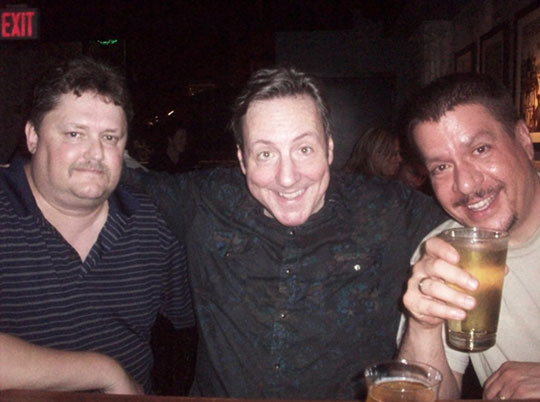 November 13, 2010 - Burger Shoppe with Marty, the BBC and Clacky and Shannon (The ABC, Australian Bar Crawlers.) Best pub crawl photo ever! 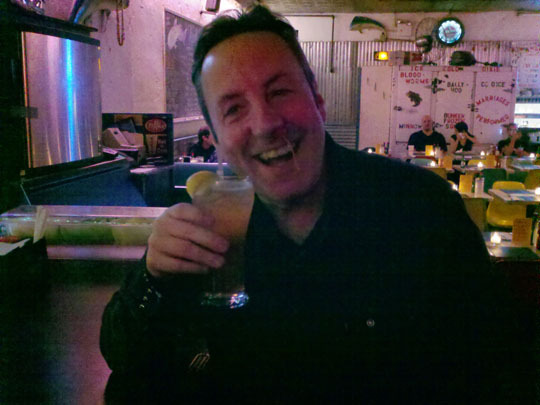 November 13, 2010 - Otto's Shrunken Head in the East Village. November 14, 2010 - Clacky telling a story at Emmett O'Lunney's in midtown. December 18, 2010 - Amity Hall and Stoned Crow. This is the night where we found out The Stoned Crow would be closing in a couple of weeks after this photo was taken. December 19, 2010 - Nomad and Whiskey Town in the East Village. This would be my last beer with Marty on his 365 day bar crawl. He finished it in Peoria a couple of weeks after this shot was taken. April 16, 2011 - Marty's Apartment / Molly's Shebeen / Pizza Pub / Live Bait / Old Town. The BBC’s first appearance on Marty’s blog after 365 bars, Marty After Dark. April 16.2011 - Marty's Apartment, furious little monkey! April 16, 2011 - Live Bait I don't remember why Marty had a cherry stuck up his nose? April 16, 2011 - Old Town, a New York City classic bar in the Flatiron District near Marty’s apartment. May 21, 2011 - Aaaaaaaaaaaaahhhhhhhhhh! May 21, 2011 - Marty's Apartment / Lillie's Victorian Bar / No Malice Palace / Manitoba's / Horseshoe Bar. A busy night of bar-crawling. June 25, 2011 - Marty's Apartment / Whitmans / Lucy's / Cherry Tavern. June 25, 2011 - Cheers from Marty in his apartment. June 25, 2011 - I loved hanging out on Marty's roof! June 25, 2011 - Waiting for our Juicy Lucy's at Whitman’s! July 30, 2011 - Marty's Apartment / Amity Hall / Peculiar Pub. July 30, 2011 - Amity Hall. July 30, 2011 - Shots at Amity Hall. November 12, 2011 - Marty's Apartment / Duke's (19th St) / Live Bait / Old Town. November 13, 2011 - Lyric Diner / Rolf's / Globe / Limerick's. December 10, 2011 - The regal entrance up to Marty's door at his apartment building on 16th Street. 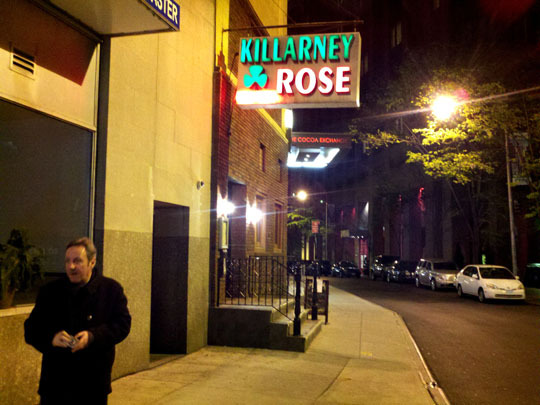 April 28, 2012 - Marty's Apartment, Fraunces Tavern, Kilarney Rose. My first appearance on the Tripping With Marty blog. April 29, 2012 - Marty's Apartment, No Partners, Bohemien Hall Beer Garden, Astoria Brewhouse. 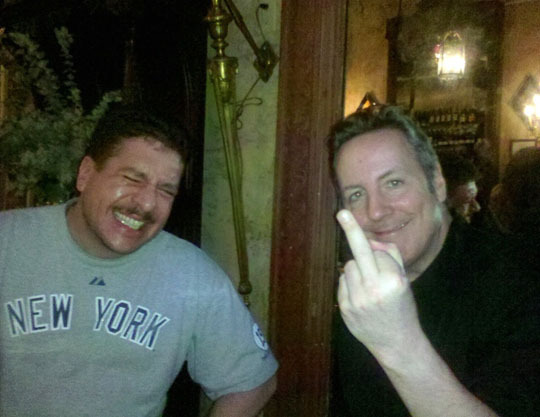 May 20, 2012 - it's my birthday - and I get a middle finger? June 24, 2012 - Marty's Apartment, Rub BBQ, Trailer Park Lounge, Jake's Saloon. (Undocumented, blog on hold.) This was it - a fuzzy picture from Rub BBQ. The end of a New York era, five months later Marty moved back to Peoria, Illinois. Sunday, 16 May 2010 (Molly's Shebeen @ 8:09pm) through Sunday, 24 June 2012 - (Jake's Saloon @ 10:11pm.) At least 58 drinking spots. It could be possible I might have had a clerical error and missed a spot. End of an era. It was a good time ! Further reading: A Dozen Bars and Part II.